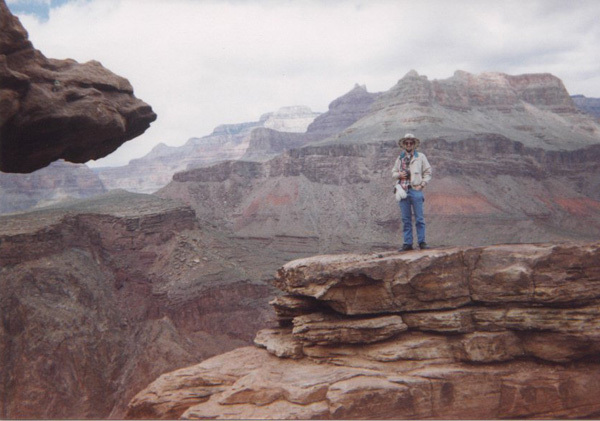 Here I am at Plateau Point, Grand Canyon! I'm standing on a pinnacle down in the canyon. The mules are parked about 20 yards behind the camera. If I were to take two giant steps backward, I would fall about 200 feet down to the raging Colorado River. I felt like I was on top of the world!